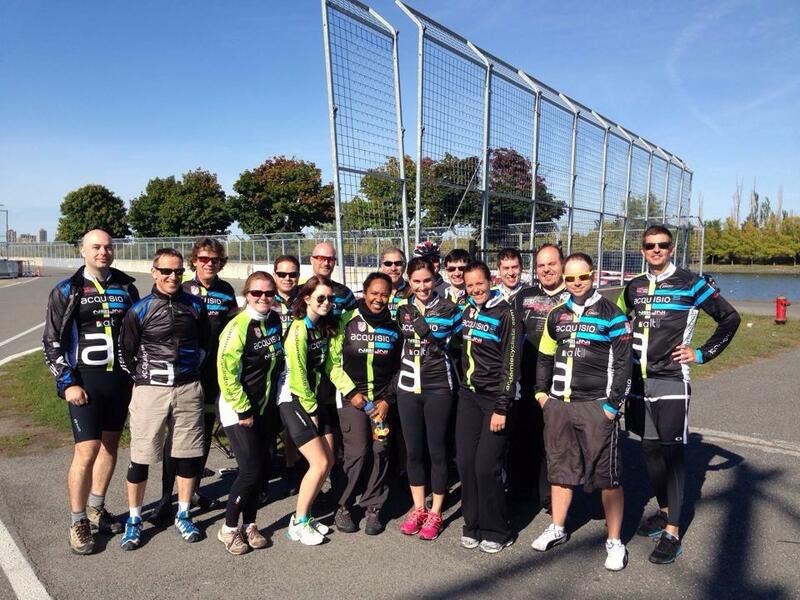 For the past several years Acquisio has participated in the 48 Hour Ride for Make-a-Wish Foundation here in Quebec. 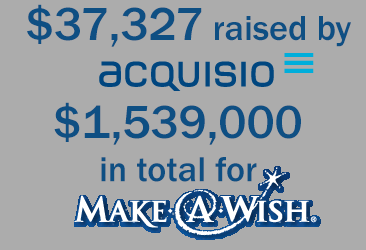 Just as the annual Make-a-Wish event has grown from just 96 participants in its first year to more than 1,300 cyclists in 2014, the Acquisio team has grown from a few courageous participants to well over 35 determined employees separated into five teams. Before the event even started we were already proud of how much money the Acquisio teams were able to raise. Marc Poirier, co-founder and EVP of Business Development at Acquisio, managed to raise more than $10,000 single-handedly – which put both Marc and his team within the top 5 participants to collect the most money for the event. Together, thanks to all the Acquisio cyclists, friends, family and support, the teams were able to raise $37,327 this year! Our contributions were fortunately a small drop in the bucket. All the riders at this year’s Make-a-Wish event raised more than one million dollars, $1,539,000 towards granting wishing for sick children. That 1.5 million dollars goes a long way. As the organizers of the event pointed out, at least 70% of that money goes directly to the children, so they can reconnect with their family, live their dreams and regain hope that was lost during their difficult medical procedures and treatments. That’s what we all work our asses off for all weekend! An uncomfortable backside is worth it if a child can feel more comfortable in their often too painful life. Once the event started and each one of the cyclists took to the track in turn, sharing helmets, bikes and words of inspiration, we had a lot more to be proud of than just money raised. We were proud of ourselves and our teammates for pulling through and doing something we weren’t sure our minds and our bodies could handle. The 48 hours started on a sunny, mildly warm Friday afternoon. 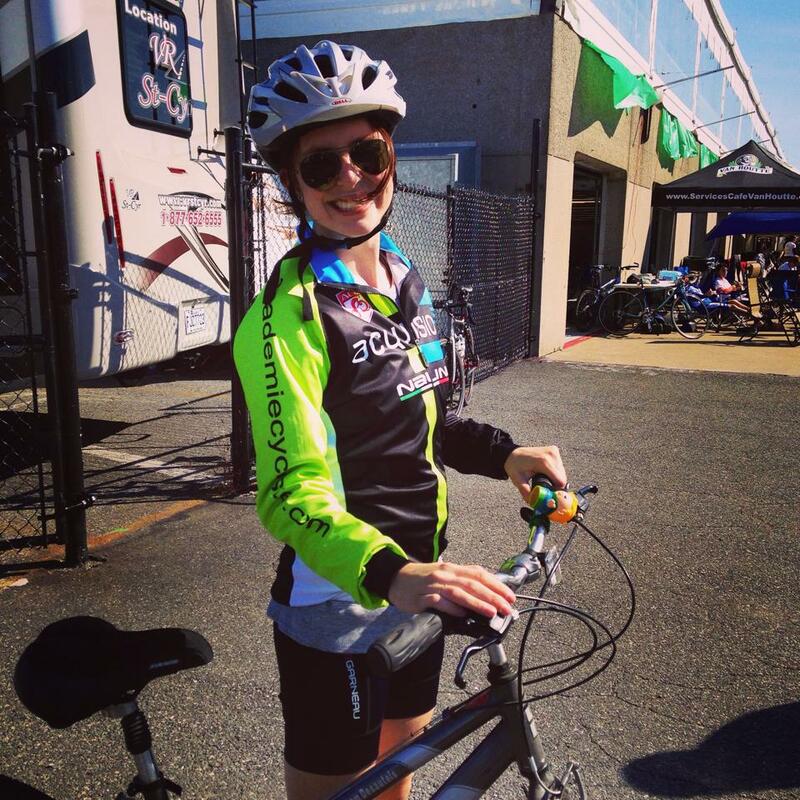 With lots of encouragement from teammates and other cyclists at the event, the first few hours were exhilarating. As night approached and the temperature dipped down and the 4.3 kilometer track became a bit harder to traverse. Come nightfall, when most racers switched on their flashing lights and added florescent reflector bands, the air was cold and the wind on half the track made each shift feel less like a leisurely bike ride and more of a struggle. But a struggle well worth it – on Saturday evening, the cyclists all gathered together and listened to the inspiring stories of several children and families who were helped by Make-a-Wish. With that extra boost of energy the next round of night shift were much more pleasant. With aching legs, backs and necks, we raced on, laughing and pushing forward against the wind and through the pain. Thankfully there was no rain! Despite all the hard work, the lack of sleep, the odd hours and the excess caffeine consumed, the weekend was successful because we had fun together as a company and together as a collective group working to help make the world less difficult for those kids who deserve a break. With our $37,327 donation, and with the collective $1,539,000 raised for the foundation, there will be a lot more sick kids visiting Disney, going to the beach with family and meeting their favorite celebrities and characters, and for that we are so proud.